Theatres | Department of Drama, U.Va. Drama Students at U.Va. 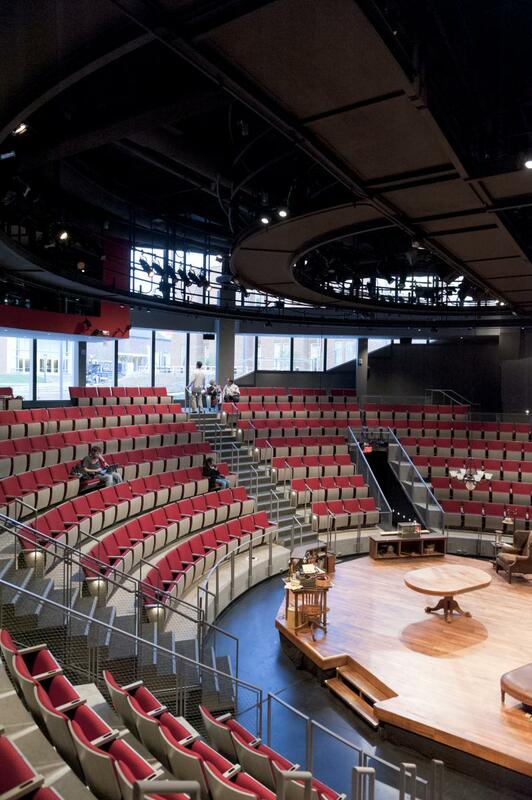 have the opportunity to pursue their degrees in a state-of-the-art theatre complex, which includes the 520-seat Culbreth Theatre with proscenium stage, the flexible 160 to 200-seat Helms Theatre and, the brand-new 300-seat Ruth Caplin Theatre, a thrust theatre. 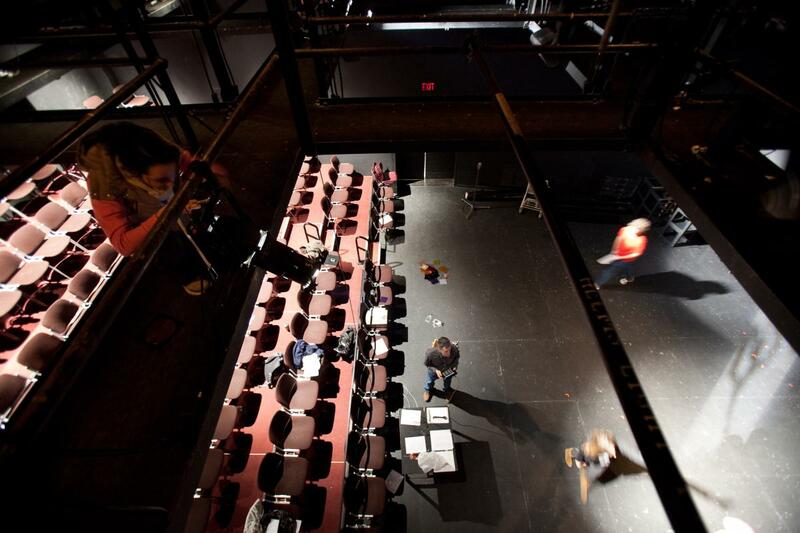 The Drama Building also houses classrooms with state-of-the-art technology, studio space, costume, and scene shops. The Fiske-Kimball Fine Arts Library is just a few steps away. This impressive complex of classrooms, workshops, studios and theatres is part of The Betsy and John Casteen Arts Grounds, where students studying a wide range arts disciplines come together in one of the University’s most vibrant and dynamic areas.